Welcome to ALYSIA and Company. Verification of seller's permit or business license is required. Made with very selective the top quality Egyptian cotton. -Of the high quality Egyptian cotton, fine, long staple, supple and silky cottons are selected and used. 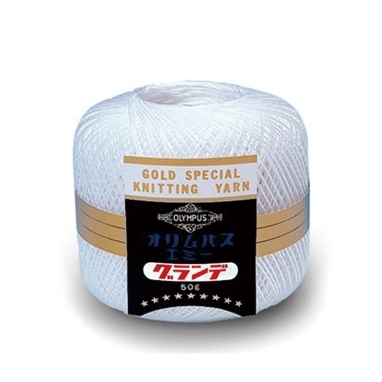 -Through experience and testing over the century, Olympus has crafted a thread that is easy to crochet, soft to touch, and has beautiful shine and color. All produced in Japan.